Der Artikel Blagoja Markoski: Basic Principles of Topography wurde in den Warenkorb gelegt. Ihr Warenkorb enthält nun 1 Artikel im Wert von EUR 92,79. 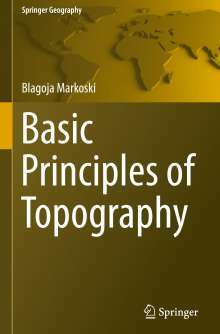 This book gives a comprehensive overview of all relevant elements in topography and their practical application. It elaborates on the classical representation of terrain on maps such as cartographic projections, together with their classification, scale, and geographical elements. It is richly illustrated with photographs, maps and figures, in which the theoretical explanations are clarified. Readers will become acquainted with the physical characteristics of the ground, i. e. tectonic and erosive shapes, the importance and classification of terrain, genetic (fluvial, abrasive, glacial, karst) and topographic types such as higher (mountains, hills, peaks) and lower terrain (valleys, fields). In addition, the book discusses cartometry and coordinate systems, orientation in space (geographic, topographic, tactical) including by means of maps, instruments and the night sky and elaborates new techniques and technologies such as aerial photogrammetric imagery, global navigation satellite systems and LiDAR. The book also includes methods for the practical execution of concrete measurement operations, such as determining position and movement on land with maps, compass and azimuth which makes it especially useful for practitioners and professionals, e. g., for landscape planning, military exercises, mountaineering, nature walks etc. 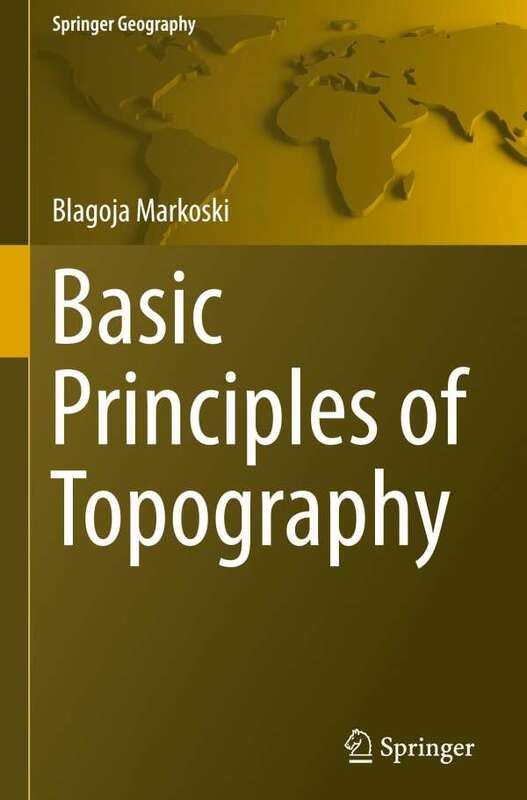 As such it offers a valuable guide not only for undergraduate students but also for researchers in the fields of geography, geosciences, geodesy, ecology, forestry and related areas looking for an overview on topography. Uniquely, the book also features an extensive glossary of topographical terms.